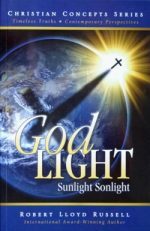 Book Description: God Light identifies fascinating parallels between natural and spiritual light, contrasts the natural and spiritual light of the world, and illustrates applications of natural and spiritual light. Analogies teach profound truth in simple language. Written in short easily digestible segments, it is ideal reading for the person on the go. The reader will understand the statements God is light, The Light of the World, and Christians are to shine like lights in a profound way. 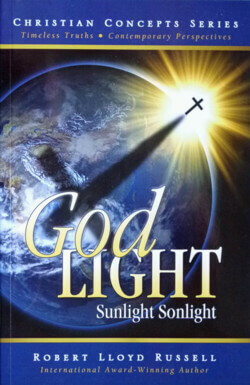 As part of the “Christian Concepts Series” by international award-winning author Robert Lloyd Russell, God Light is made up of short chapters, each followed by a “Think and Grow” section. The series is great for people on the go, for individual devotional study, and as the text in group study. The intent of the series is to assist the reader in the quest for a deeper living theology and dynamic discipleship as timeless truths are presented with a contemporary perspective while maintaining the integrity of the Word of God. To order from the publisher click here. Author bio: Robert Lloyd Russell is a popular Bible teacher and seminar leader whose purpose in writing is to help Christians develop a living theology and dynamic discipleship. His writing has been described as inspirational doctrine which inspires the reader while containing sound theology. 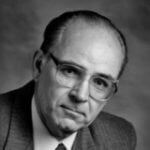 New and mature Christians of many different backgrounds and denominations have appreciated his writing. In his career as a professionally certified management consultant, Bob is acclaimed for reducing complex topics into easy-to-understand concepts, ideas, and actions. He has served over one hundred manufacturing, service, government, and non-profit organizations, ranging in size from very small to Fortune 500 firms. Prior to his consulting experience his career included engineering, sales, marketing, and manufacturing. In his professional career he has published a number of technical and professional articles and has contributed chapters to books. Academically Bob holds a Master of Business Administration from the University of Portland and a Master of Christian Leadership from Western Seminary. He has served on a number of boards including non-profit organizations. Professional Speaker Topics: A wide variety – but enjoys most speaking about the topics of his books.